...because, hey, the lovely ladies of the Grand Ducal Family really believe in the motto that sharing is caring. So get the bubbly out, ladies and gents, as the sisterhood of the travelling clothes is back in Luxarazzi Land! Last year's state visit to Japan was a gift that kept on giving in terms of royal recycling courtesy of Princess Alexandra, who accompanied her father. 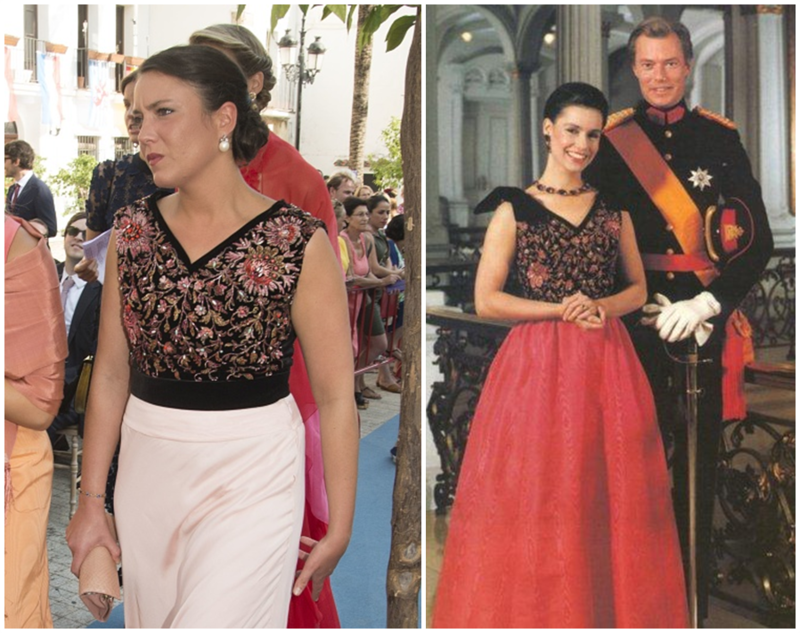 This old Elie Saab number, with slight alterations, may not have been the most successful one but I will always repeat the sentiment: Princess Alexandra isn't a full-time royal and thus doesn't need a major royal wardrobe. Repeating outfits that have only been worn two or three times publicly by someone else thus is the wise thing to do. Our second case of royal clothes sharing also comes by way of Princess Alexandra (at Princess Marie-Gabrielle's wedding) and her mother (sometime in the 1980's). Dear Alexandra, if you find yourself to rummage through your mother's (or even your grandmother's) old ballgowns and whatnot from before you were born again sometime, I'd be happy to supply a list of choices I would love to see worn by you (or your cousins) again. 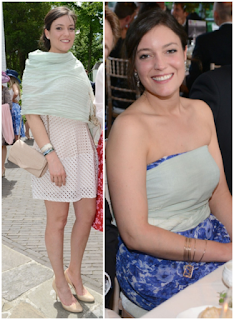 Also spotted in Luxarazzi Land: It looks like our dear Alexandra got a few tricks up her sleeve when it comes to repurposing shawls. 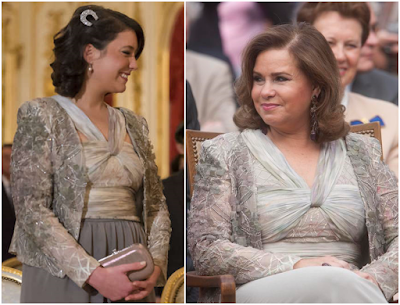 Case in point: This minty number she used as an actual shawl during the wedding of Prince Dmitri Galitzine and Alexandra Pollitt and to tie around her evening dress at the pre-wedding dinner. Spotted more clothes sharing moments of the Grand Ducal Family? Make sure to let us know!